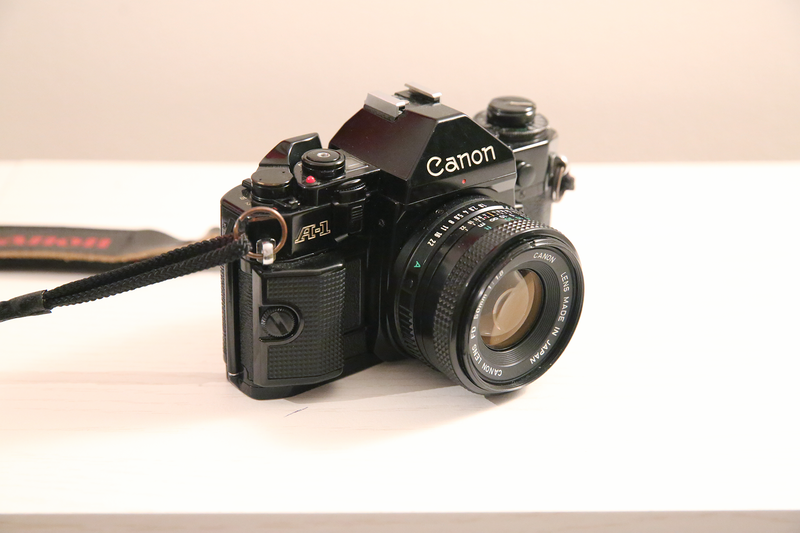 Built in Japan from April 1978 to 1985 and sold in the US for $625, though apparently with a discount, the Canon A-1 is built like a battle tank and takes beautiful, crisp, colorful shots. 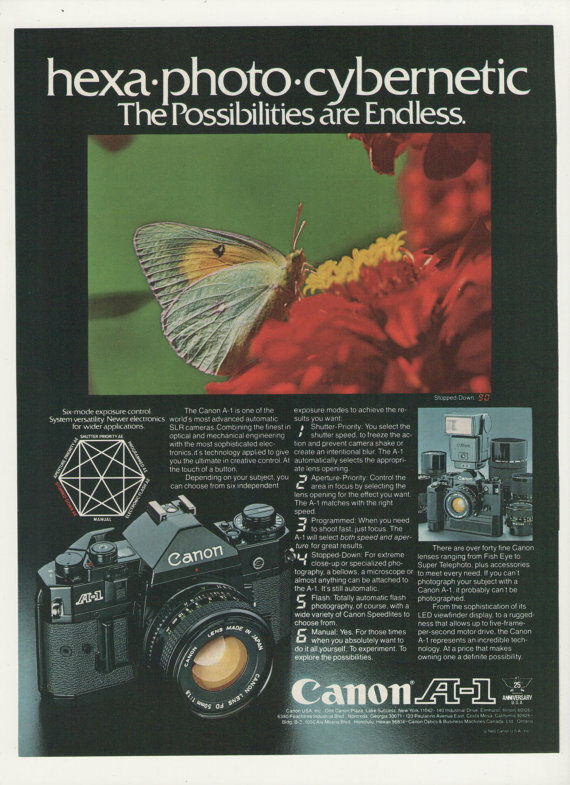 It was the first SLR to offer an electronically controlled programmed autoexposure mode. It did this by using a battery. Though it would work with any FD mount, the one I have comes with 50mm 1.8 lens. 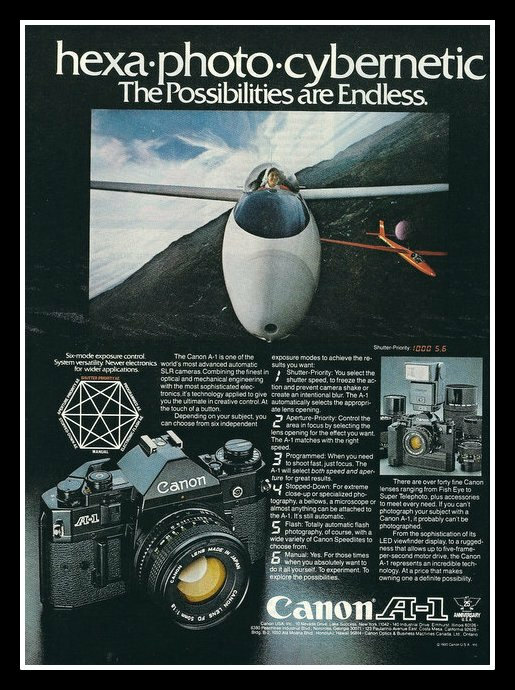 There are lots of records of a ad campaign between 1978 and 1981 using the catch phrase "hexa photo cybernetic"